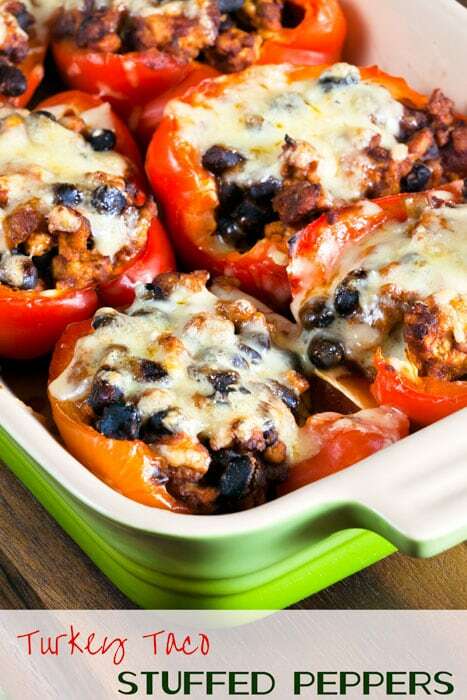 Turkey Taco Stuffed Peppers | Healthy. Delicious. Turkey Taco Stuffed Peppers are an easy and healthy way to satisfy your Mexican food cravings. Quick homemade enchilada sauce makes them extra tasty! These stuffed peppers are sugar-free and gluten free. I always love a good stuffed pepper recipe. I don’t make them often, but they’re always a big hit when I do. I especially love using untraditional fillings, like jambalaya. 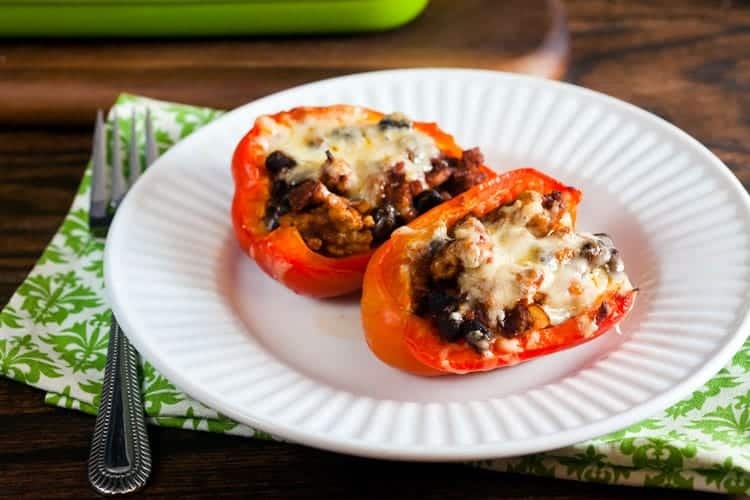 As I was flipping through a review copy of the new Sugar-Free Mom cookbook looking for recipes to try, these Turkey Taco Stuffed Peppers caught my eye and I knew I had to try them immediately. 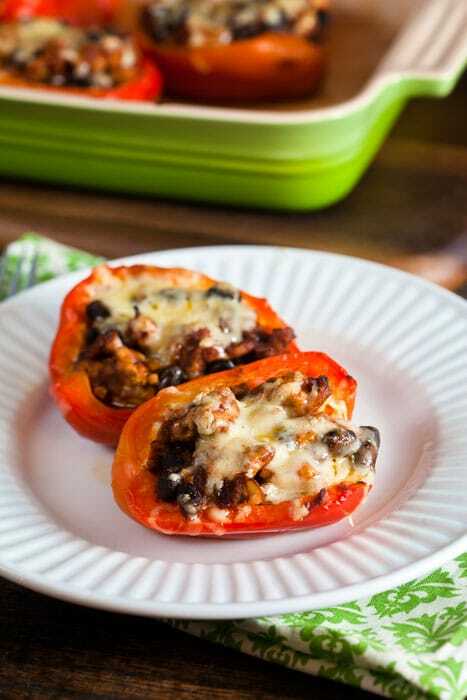 Red bell peppers haves are such a creative alternative to tortillas or taco shells! I opted to make my filling with homemade enchilada sauce (which is delicious and so easy to make!) but if you make them with salsa, the filling is really similar to what I use in my taco bake. That’s one of my most popular recipes, so I knew these stuffed peppers had to be good! Shawn and I both loved the way they tasted, and I loved that they were easy enough to make on a weeknight. I might be tempted to top them with fresh cilantro next time, but they were pretty perfect as they were. I met Brenda, the author of Sugar-Free Mom at a conference last summer and her blog (also called Sugar-Free Mom) is one that I read often. I’m always impressed by the amazing sugar-free recipes she creates. I’ll be honest – most of them aren’t things I’d make myself since I eat sugar, but there’s also a heavy emphasis on “real food” and taking the sugar out of recipes that don’t really need it in the first place. After seeing that her cookbook has a recipe for enchilada sauce, I pulled a can out of my cabinet and, sure enough, it had corn syrup in it! I have no idea why… it definitely doesn’t ned it. I love the introduction. It’s really detailed and explains why she eliminated sugar from her diet, the alternative sweeteners (including options like honey, brown rice syrup, and stevia) and their unique properties, and tips on how to reduce your sugar intake and curb cravings. This isn’t just a one-page intro, and it’s definitely worth the time it takes to read! Every recipe is labelled to identify it as being low carb, dairy free, sugar free, or sweetened with natural sugars. There’s also nutrition information for every recipe! The labeling system is really easy to follow and I love that it identified more than just sugar content. I’m a big fan of those dairy-free recipes! 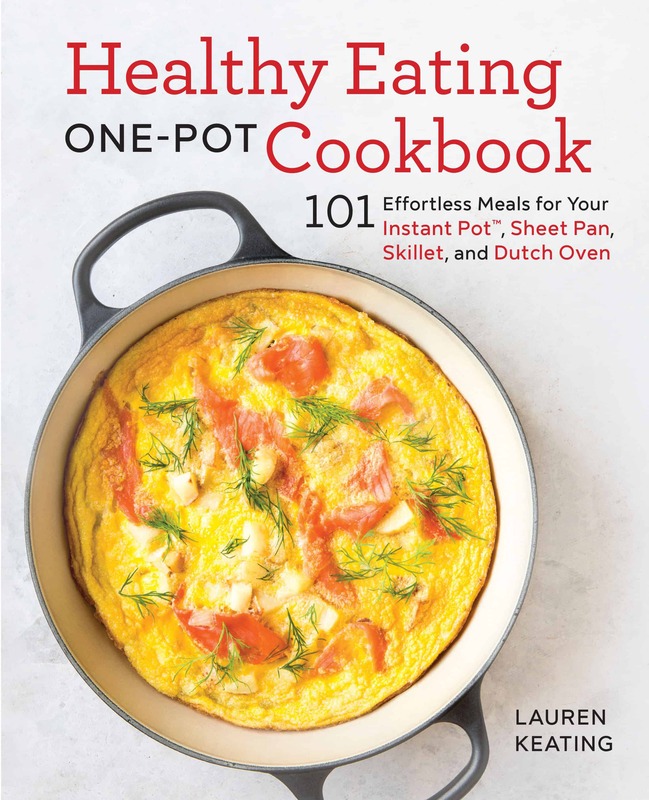 There are also recipes in the book that are gluten free, but those aren’t identified as such. The recipes also all have photos, which is important to me as a cookbook enthusiast! 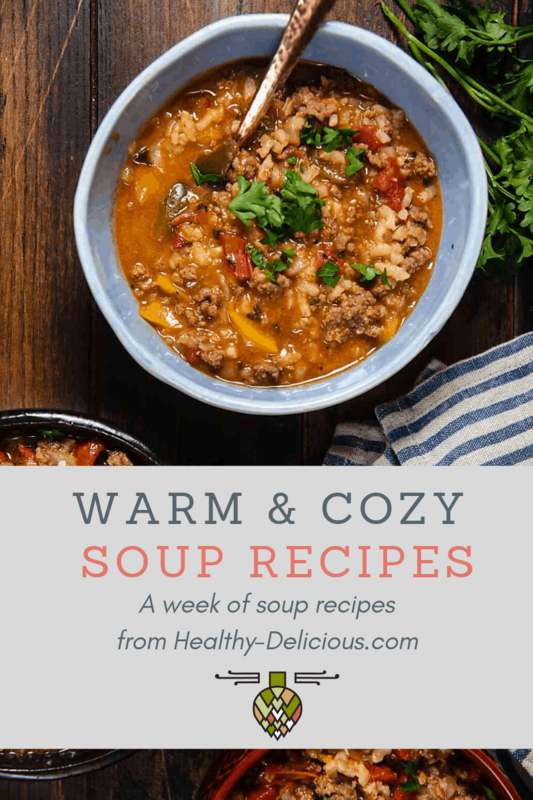 Although the emphasis is definitely on sweet recipes, like breakfasts and desserts, there’s a nice balance of savory recipes, too. With the exception of some sweeteners, the ingredients are all totally normal things that most people probably keep around or use on a regular basis. If you limit your sugar intake, there’s a good chance that you already have some of the sweeteners, too. The recipes are simple, fast, and crowd-friendly. It’s definitely the kind of book you can grab when you need a quick dinner idea. The only thing that bothered me was that the turkey taco stuffed pepper recipe called for 12 ounces of ground turkey and I could only find 16 ounce packages. There wasn’t enough left over to save, so I ended up tossing the extra turkey out. If I had bought an extra peppers and cooked the whole package of turkey, the recipe probably would have served 8 instead of 6 and I wouldn’t have had any waste. I’d definitely recommend this book to people who are looking to reduce or eliminate their sugar consumption and need quick and easy meal ideas. It’s available on Amazon in paperback and for kindle. Place pepper halves cut-side down into a 9 × 13-inch baking dish. Add 1⁄2 cup water. Cover and microwave 2 minutes or bake in an oven set at 350ºF for 10 minutes or until softened slightly. Set aside. Heat oven to 425ºF. Heat oil in a skillet and cook onion and garlic until onion is translucent. Add turkey and seasonings and cook until turkey is no longer pink. Add black beans and salsa. Stir to combine. Cook about 5 more minutes to heat beans through and then fill each pepper half with filling. Cover with aluminum foil and bake peppers for 30 minutes. Uncover, sprinkle with cheese and cook 5 minutes or until cheese is melted. In a skillet, heat the oil over medium heat. Reduce heat to low and add the flour; stir to combine. Cook, stirring constantly, for 1-2 minutes and then add chili powder, cumin, oregano, garlic salt, and cinnamon. Slowly add in chicken broth, water, and tomato paste. Turn up stove to medium-high heat and bring to a boil. Cook 5-10 minutes or until thickened. Allow to cool, then refrigerate for up to 2 weeks. Disclosure: I received a review copy of Sugar-Free Mom but was not compensated in any other way for this review. This post contains affiliate links. Just finished making these for my family who visited today. I was worried about it being turkey and black beans (semi-picky family), but everybody gobbled it all up. I especially liked that it was naturally sugar free because my mom recently went on a sugar free diet, and this was a meal that everyone would eat (not everyone will eat sugar subs, so I either end up making two dinners or partially cooking one then adjusting a separate portion). Stuffed peppers are one of my favorites. These look especially delicious! I really love her recipes so seeing this makes me want to grab a copy of her cookbook for my own kitchen in addition to the ones I’m gifting this holiday. These peppers look scrumptious! These stuffed peppers look amazing! I love how packed full of deliciousness they are…yum! 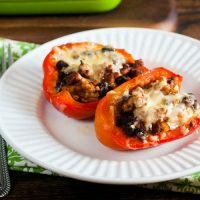 I love stuffed peppers and these look wonderful! I love this cross between stuffed peppers and tacos – great combination of ingredients! I just fixed something similar tonight for dinner. I am hear to sign the petition that it is delicious!!! It’s fun to eat food that you don’t feel guilty about. I didn’t know Brenda wrote a cookbook!!! how awesome is that?! totally going to check it out and LOVE stuffed peppers!!! I love turkey tacos and bell peppers so this I know I would love as well. Major yum! I love stuffed peppers, and I love that this version is sugar- and gluten-free. Pinned. These look so good! I have that same baking dish. Cute! These sound wonderful. We have been slowly cutting out the sugar too. I need to get the book to get more tips to fully remove sugar. I’ll have to check out this book as my mom is now on a sugar-free diet. She loves stuffed peppers and tacos, so I bet she’d love to eat these for dinner. Great review! Brenda is such a good cook and I love that more and more people are embracing sugar-free. So happy you and Shawn loved the stuffed peppers! Thank you for the wonderful review!